When humans are in the middle of a particular era, whatever we see and think and talk about seems normal, rational and even scientific. So it is with the prevailing human view of wildlife conservation. Human eras are made up largely of prevailing fashions. And fashions are just fashions. How to save endangered wildlife? An obvious first response might: protected areas, such as national parks. This concept has its origin in the late nineteenth century and remains popular, even though theory and practice show that protected areas covering, say, 10% of whatever habitat was originally present can save only about 50% of the original species. This weakness in the effectiveness of protected areas has led to a currently fashionable concept of “wildlife corridors” – even though favourite target species such as orang-utans and elephants might do better with creation respectively of habitat “stepping stones” and refuges between forests, or grasslands rather than forests. In many countries, privately-owned land is essential to saving endangered species, whereas in Malaysia and Indonesia governments frown on such an idea and instead insist that governments must control natural forests and endangered species. Large mammals are at particular risk of extinction and have always been so after the emergence of humans. In the late nineteenth century, species such as African rhinos and American bison were saved from extinction by a few individuals who captured some of the last remaining animals and moved them on to privately-controlled lands, unimpeded by governments and conservation NGOs. But since then, the entire world has been divided up among nation states which now effectively control passionate private conservation efforts, as well as NGOs which increasingly tend to prefer global stakeholder consultation and bureaucracy over small focused projects driven by passionate individuals. The European bison are a species brought back from extinction through a successful captive breeding programme. The magnificent European bison, bigger than the Dicerorhinus (Sumatran rhino) and extinct in the wild by 1927,was saved from extinction by passionate individuals, mainly in zoos, who made sure that the then 55 remaining captive European bison were managed to boost birth rate. 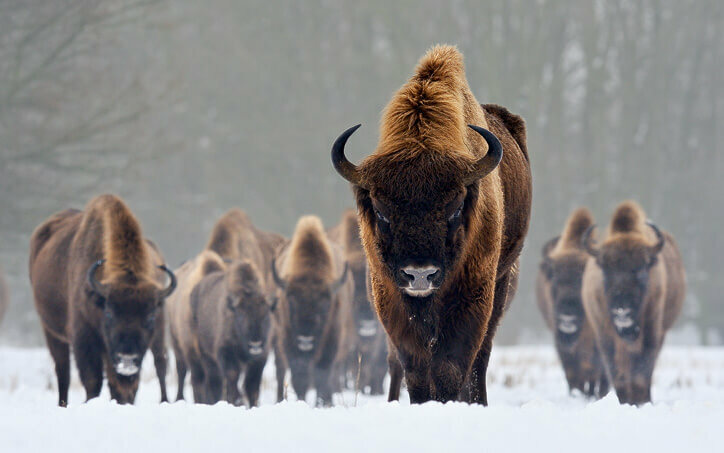 Now over 5,000 European bison are alive, most living free-ranging in essentially natural habitats. Try suggesting that approach nowadays as a way to save an endangered large mammal, and most governments, egged on by conservation NGOs and social media, would be on your back and put a stop to the idea. There are occasional exceptions, such as the case of the Californian condor, but these can happen only when a few very competent, brave and passionate individuals decide to make a stand, and do whatever is necessary to fight the prevailing view. One of the great wildlife biologists of the twentieth century was Australian Graeme Caughley, who saw the management of wildlife populations as systems to be analysed, and wildlife conservation to be a sub-set of wildlife management. His early death in 1994 put an end to the emergence of an important theoretical basis of huge potential for how to tackle small and declining wildlife populations. Instead, after 1994, and with the emergence of social media, wildlife management has largely become wildlife “rescue”, heart-warming and laudable, but mainly anecdotes and nice pictures that have no big picture plan and little to do with preventing extinctions. One of the pioneers in attempts to use advanced reproductive technology, such as in vitro fertilization to boost birth rates in order to help prevent the extinction of critically endangered species, was David Wildt. In 1986, Wildt argued that such technologies could be used but only if natural reproduction is no longer adequate. For over a decade this view seemed to hold promise for species close to extinction. By 2001, he had turned against technology. He felt not only that progress on this front would be slow and expensive, but that effort would be better spent on a more holistic and customized approach. This viewpoint makes good sense, and the emerging fashion for advanced reproductive technology was quickly abandoned globally for wildlife, even though implementation of the idea has flourished in humans, cattle and horses, because of the profit-making potential. This rejection of reproductive technology has been to the great detriment of Dicerorhinus (Sumatran rhino, the most endangered mammal genus), however, a genus where poaching and habitat loss have for many decades been wrongly identified as the main threats. Instead, the main threat since the 1950s has been not enough births. 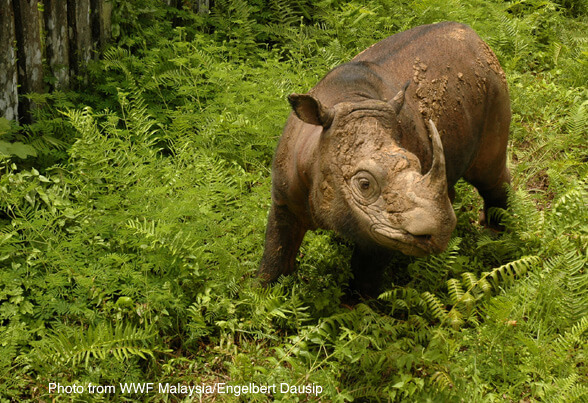 Simulations of Dicerorhinus (Sumatran rhino) populations have shown that in order to survive long-term the population has to be a minimum of 30 individuals with an inter-birth interval of three years for all mature females. The last such population was probably in the mountains of northern Sumatra in the 1960s. Since then, all wild Dicerorhinus rhino “populations” have simply been small, non-viable groupings. Yet despite that, governments, IUCN and all the mainstream conservation NGOs have insisted that the genus be kept in the wild, doomed to extinction, but relying on hope and “awareness” to magically go against the inevitable. If ever there was a need to develop advanced reproductive technology as quickly as possible in order to save a genus, that need applies to Dicerorhinus. The only possible way to prevent this genus’ extinction now is to make an all-out effort to maximize births per year. And to do that, at the minimum, as many of the remaining wild Dicerorhinus rhinos need to be brought into fenced, managed facilities, with fully fertile individuals managed to produce babies, and artificial insemination and in-vitro fertilization tried on the less fertile ones until the techniques are perfected. The first successful births in 2015 in USA of domestic dogs from in vitro fertilization and embryo transfer, as well as well-established success in humans, cattle and horses, surely provides backing for this way of thinking. This is what we are at BORA are doing. Finding salvation through science for our last three remaining Dicerorhinus rhinos. But with this process never been successfully done before for any rhino species, we are working against the odds. If Indonesia were to join these efforts, humanity and the rhinos can achieve success much faster than we, BORA, could do alone.